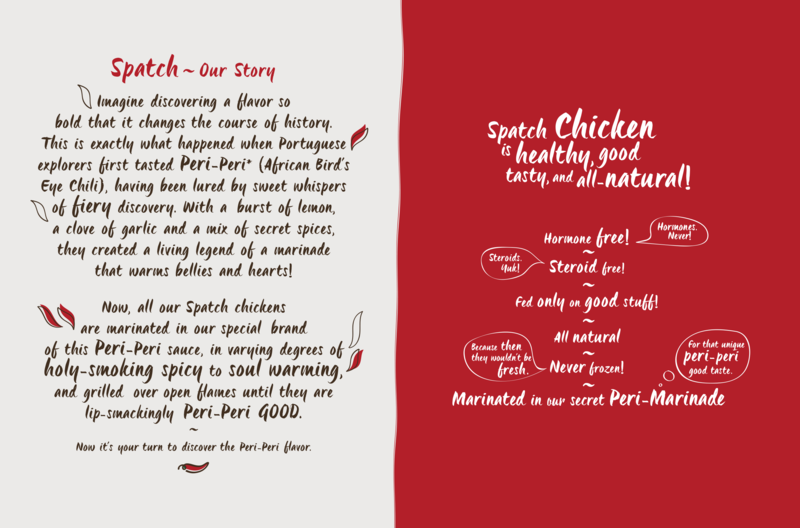 Spatch is on a mission: To introduce as many folks as possible to the lip-smacking goodness of Peri-Peri. They’re starting in Miami, Florida and growing fast. 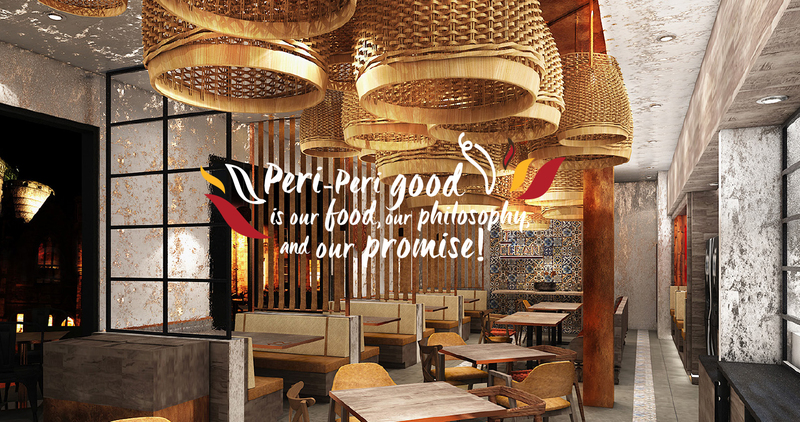 Fiery in flavour and nature, they stand for unrivalled taste and good-for-you, fast-casual food. 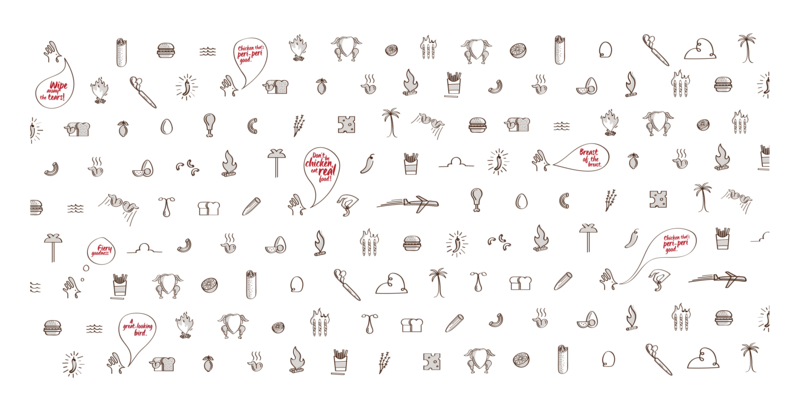 Redbeerd came in at the get-go to establish the brand and develop its quirky tone. 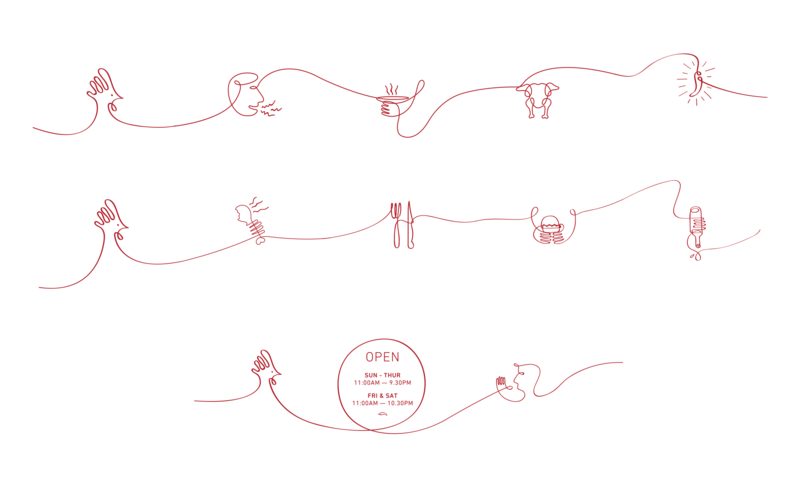 We’re happy to still be part of the Spatch story. Don’t be chicken. Eat real food! 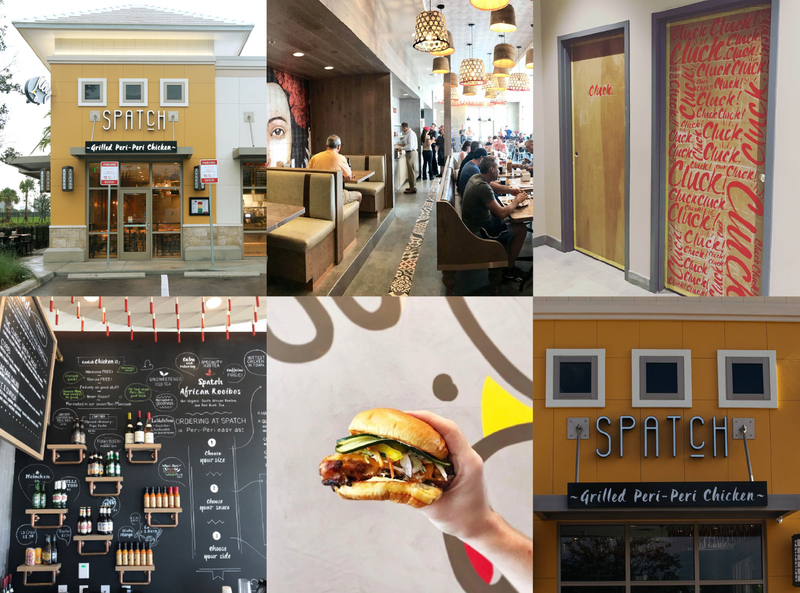 Redbeerd to date has worked alongside Spatch to launch two stores in Florida. 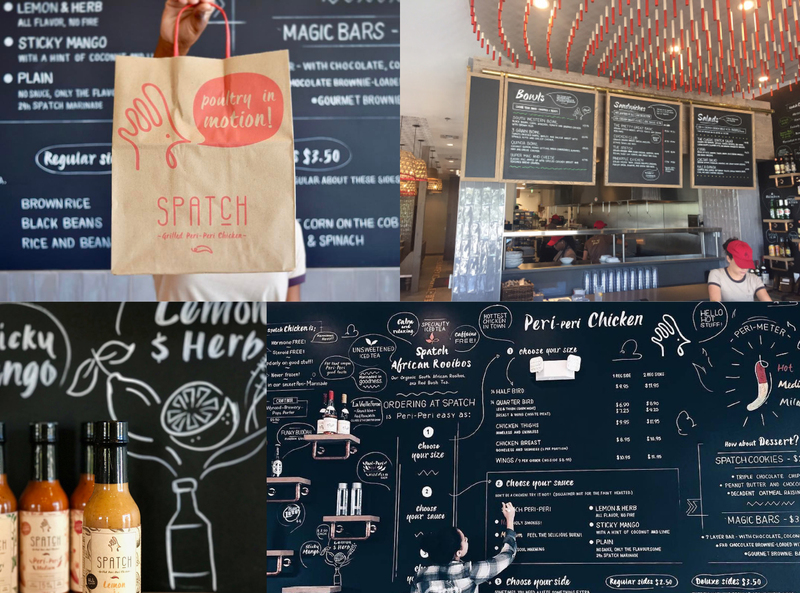 We have been challenged to create all that comes along with that: signage, website development, menus, in-store artwork, posters, digital campaigns, social media visuals, packaging design and more. 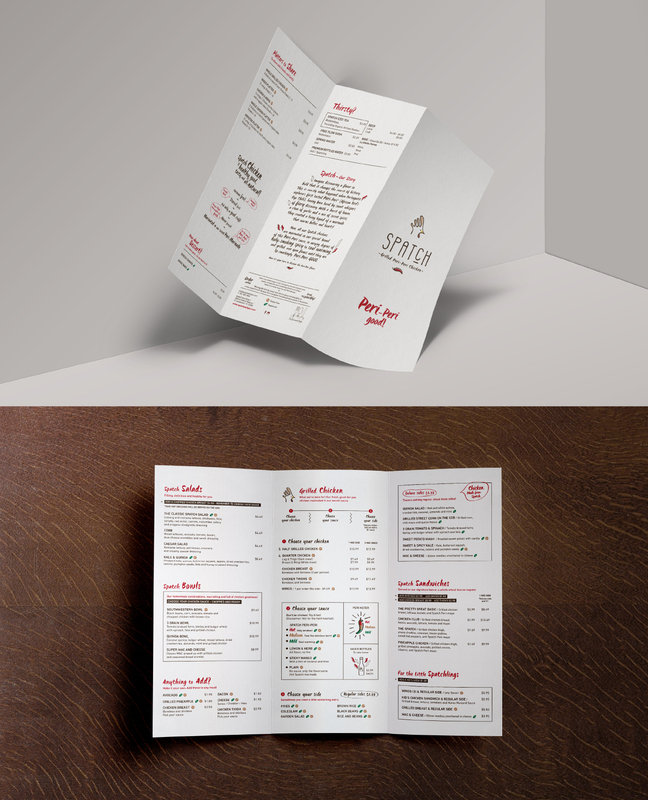 A lighthearted and lively visual language accurately reflects the service offering and a friendliness in all communication reveals the warmth of the Spatch family (and the Peri-Peri chili!). Every piece of collateral has that unique Spatch take on things; never too serious, unless it’s about how good the food is. Are you feeling Peri, punk? 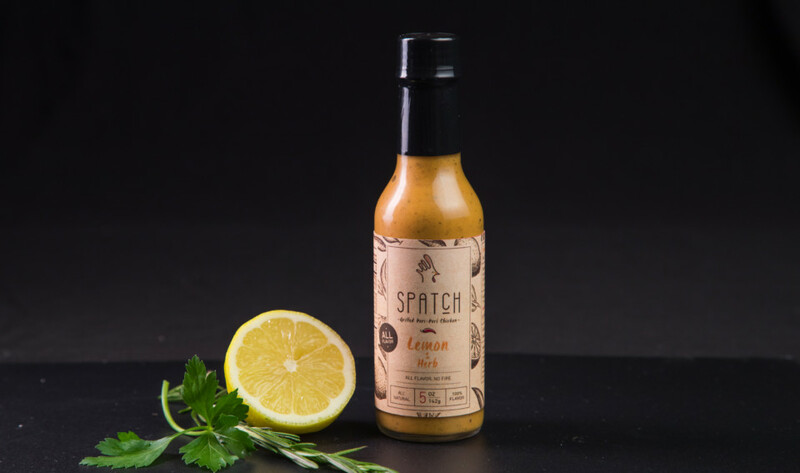 Things have gotten heated (that time we ordered extra spicy chilli burgers for inspiration), but for the most part creating copy for Spatch has been a good time. Spatch’s food is fresh, delicious and lively and we communicate this verbally whenever we can, using wit and wordplay.